Whew–the past few months have been a whirlwind. Here’s a little life update and a review of a cool meal delivery service I recently got to try. Aaron and I returned from our summer travels in August–we took a train up the West Coast from Los Angeles to San Francisco to Seattle over the course of two months–and have since been getting back into the groove of being home in West Palm Beach. There’s so much we love about this area, and it’s nice to settle into your space and create a routine that gets you where you want to be. With that, I quit my job at MONQ last month (I was their Influencer Marketing Manager for the past year and a half or so, for anyone who didn’t know). I did it so I could pursue freelancing full time and really dive headfirst into my career as a travel writer. I knew this before jumping in, but freelancing is hard. It takes a lot of time, a lot of effort, and more self-discipline than you think you have in you. 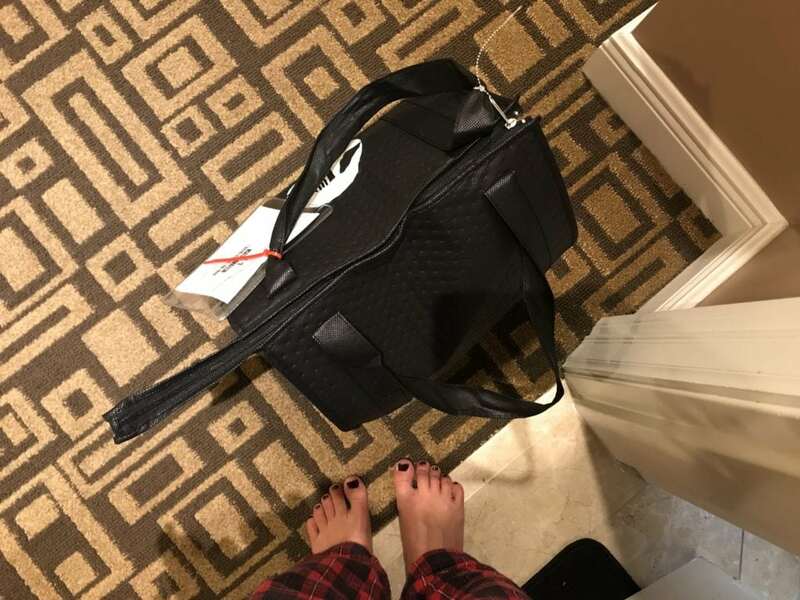 People who aren’t familiar with the work-from-home life seem to assume I sit around in my pajamas all day and the work just gets itself done in my free time. Not so much. Some weeks are harder than others. With the holiday season upon us, there are so many distractions and so many things to get done. That, on top of the normal to-do lists and my usual why-am-I-here-where-am-I-going-what-am-I-doing-with-my-life existential hoopla, has proven to be a little overwhelming. I’m doing it, but some weeks are certainly more difficult than others. This past week was one of the difficult ones, but it was made significantly more bearable by a new meal delivery service I recently found out about. DeliverLean is South Florida’s premier food delivery service, and the best part is that the meals are all super lean (duh) and healthy. They have classic, paleo, vegetarian, and vegan options. DeliverLean has been featured all over the press recently, so I had to see what all the fuss was about. And boy, was I impressed. The process literally could not be simpler. You choose how many meals you’ll want, pick from their expansive menu of 100+ items that rotate weekly, and a freezer bag of freshly prepared meals just shows up at your door in the middle of the night. That’s it. No thinking. No preparing. No shopping, ingredients, cooking–nothing. DeliverLean delivery first thing on a Monday morning. Usually, I’m not a meal delivery person. I love to cook. However, we all have those weeks where it’s just…not happening. And with DeliverLean plans as low as $9.95 per plate, your time just might be better suited for your desk than your kitchen, at least during those busiest of weeks. Luckily, DeliverLean delivers to all of South Florida. Chefs create the meals at the DeliverLean kitchen in Hollywood, FL, and then a delivery person drops the bag of prepared meals at your door between midnight and 7am on the day you’ve scheduled for delivery. Turkey burger with spinach, roasted tomato, fresh mozzarella, and herbed parsnip fries. Plus, the food is delicious and actually good for you–I tried everything from sweet potato multigrain pancakes to spinach pesto-seared shrimp to a Thai power salad to a red quinoa salmon bowl. All tasty, and all ready at the zap of a microwave (or after a few minutes in the oven, if you’re like me and hate microwaving anything). Way better than those over-processed freezer meals you find at the grocery store, and also way better than ordering a pizza for dinner out of desperation (it happens). Sunday’s call for family gatherings. What will you be having? 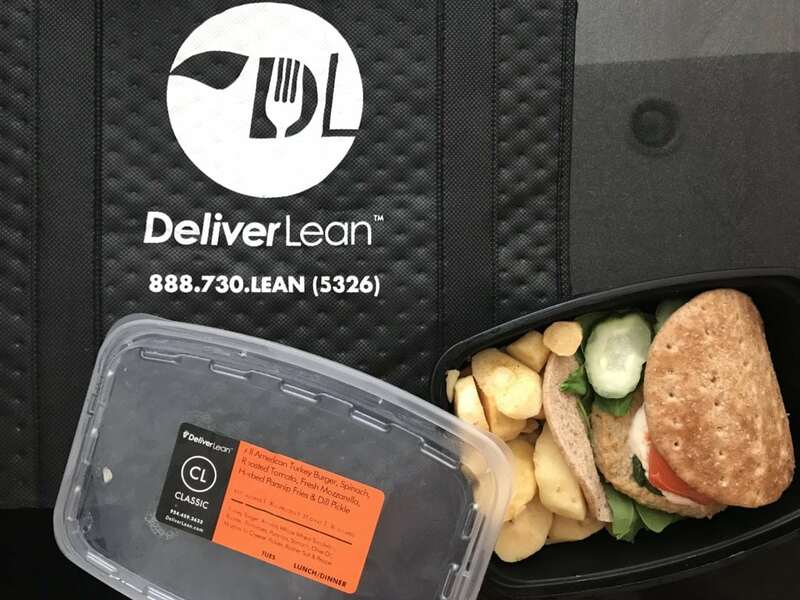 I’d highly recommend DeliverLean to anyone in South Florida who struggles to find time to cook a healthy meal, yet wants to keep their lean diet a top priority. What do you do to power through your busiest weeks? Full disclosure: I received a week of DeliverLean services for free in exchange for my honest review.